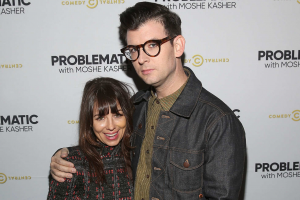 Married comics Natasha Leggero and Moshe Kasher provided Vulturewith some useful advice for anyone traveling with another persona spouse, in particular. Fun fact: Ourconversation was recorded very early in the morning while I folded upin a rental car parked outside of a motelmy lady was still sleeping in our room. Clearly, I could have been giving my own tips.